ELIZABETH CITY, NC – The all-new, award winning 2015 Chrysler 200 features two new interior colors. The 2015 Chrysler 200S model now offers the choice of an Abassador Blue premium leather interior, in addition to Black leather or Black cloth with Ambassador Blue leather trim. 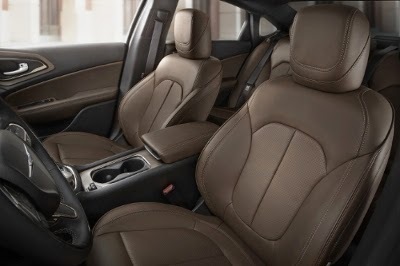 A premium Mocha leather interior, with heated and ventilated front seats, is also in this year’s lineup. These two new leather options bring a whole new level of “complexity” to the Chrysler 200S models. Since its official release at the 2014 Detroit Auto Show, the 2015 Chrysler 200 has been selling like hot cakes. “The 2015 Chrysler 200 is resonating with consumers looking for a car that delivers a timeless, elegant design, a great driving experience and is packed with features that both drivers and passengers appreciate.” said Al Gardner, President and CEO – Chrysler Brand. 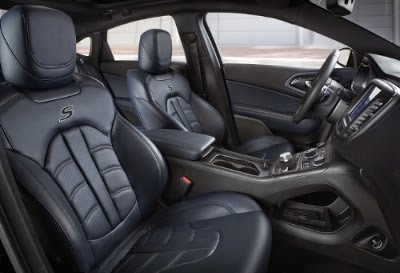 The 2015 Chrysler 200S features two new interior colors, and by adding these two new interior options, Chrysler keeps it fresh for the driver who wants a car that exudes style not typically found in the mid-car segment. The Chrysler 200 is definitely one of Chrysler’s most popular models and has been so ever since it aired along with Eminem in the infamous “Imported From Detroit” Superbowl Ad. In a recent press release, Chrysler states that the Year-to-date Chrysler 200 sales have grown over 60% and in the month of March, there was an increase of over 150% from March 2014.